Welsh mezzo-soprano Katherine Jenkins is a celebrated performer, who emerged in the early 2000s as Britain's all-time best-selling classical artist of the past 25 years. Blessed with a warm voice and charismatic stage presence, Jenkins achieved wide recognition in 2003 after performing at Westminster Cathedral during Pope John Paul II's silver jubilee. Buoyed by that appearance, her 2004 debut, Premiere, hit number one on the U.K. Classical Album Chart. She has enjoyed both critical and commercial success since, with six of her albums reaching the top of the U.K. classical charts. Two of those albums, 2004's Second Nature, and 2005's Living a Dream, also took home the Classic Brit Award for Album of the Year. While she remains a star in Britain, she is internationally recognized, and in 2012 briefly shifted away from music to compete on ABC's Dancing with the Stars where she finished as a runner-up. In 2014, Jenkins was made on Officer of the Order of the British Empire (OBE) for her services to music and for her charity work. Born June 29, 1980, in Neath, West Glamorgan, Wales, Jenkins fell under the sway of classical music at age seven, studying piano and singing in her local choir throughout childhood. In 1990, she joined the Royal School of Church Music Cathedral Singers and also served with the National Youth Choir of Wales. 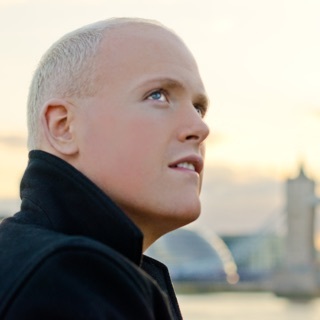 At 17, Jenkins was accepted into London's Royal Academy of Music, tackling a series of operatic roles while studying Italian, German, French, and Russian. She continued pursuing opera as a postgraduate while moonlighting as a vocal instructor, but upon winning the Face of Wales modeling contest she instead supplemented her income as a fashion model. In 2003, Universal Classics signed Jenkins to a six-album, seven-figure recording contract, reputedly the largest deal in the U.K.'s classical music history. While at work on her debut LP, she performed at Westminster Cathedral in honor of Pope John Paul II and also made her inaugural appearance at the famed Sydney Opera House. Issued in the spring of 2004, Jenkins' debut, Premiere, immediately topped the classical music charts, and its success inspired a quickie follow-up, Second Nature. Together the albums vaulted the singer to a level of commercial success previously unknown in classical music circles, and she further exploited her growing mainstream popularity by recording a classical rendition of Dolly Parton's "I Will Always Love You" for 2005's Living a Dream. Serenade topped both the U.K. classical and album charts in 2006, as did Rejoice the following year. Sacred Arias (2008) represented her last album for Universal before transitioning to Warner Bros. for the more contemporary Believe (2009) and Daydream (2011). The following year Jenkins released her first official holiday album, This Is Christmas. In 2013 she returned to Decca with the release of the L'Amour collection, and the same year raised over 25,000 for Macmillan Cancer Support in the U.K. by running the London marathon. Her dedication to charity and the music industry was recognized in 2014 with an O.B.E. at that year's New Year's honors. 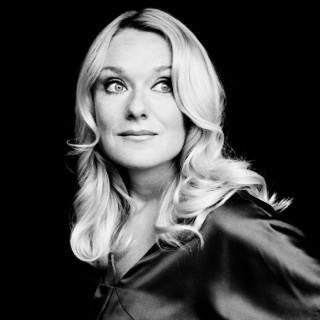 That same year, Jenkins returned to her classical crossover roots with the album Home Sweet Home, which featured a collection of rousing anthems with nods to her home country.